XYZ Stream Hosting provides RTMP, RTSP & Secure Video On Demand Stream Hosting for all Extron SMP, SME Encoders. 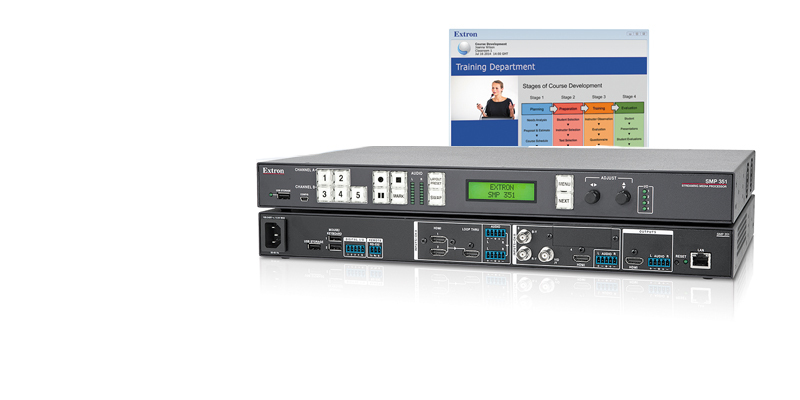 All Extron SMP and SME live streaming encoders offer a high performance recording and streaming application for capturing and distributing AV sources and presentations as recorded media or broadcasting for live streaming distribution. SMP version encoders can record and stream simultaneously and can stream at two different resolutions and bit rates concurrently using a range of transport protocols and session management options. With no recurring licensing fees and comprehensive control and configuration features, the SMP family of encoders provide a cost-effective, solution for delivering presentations to a larger audience. 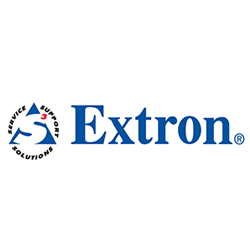 Extron SMP streaming media encoders produce videos in an MP4 (M4V) container format, which is compatible with virtually any media player. It records at 480p, 720p, or 1080p resolutions, supporting a variety of quality, storage, and playback requirements. Recordings can include metadata with information such as: Title, Creator, Subject, Description, Publisher, Contributor, and Date, which makes searching, indexing, and managing multiple recordings more efficient. Set chapter marks during recording sessions for highly efficient searching and scanning during file playback. JPEG thumbnail images are captured periodically and for specially marked events. Thumbnail image size is selectable in order to meet the needs of the recording environment. MP4 recordings can be saved to internal solid state storage, a USB storage device, or a defined network storage directory. USB storage devices connect easily to the SMP’s front or rear panel. The approximate capacity in hours for a 32 GB thumb drive, the SMP’s internal solid state storage and a 1 TB network drive is presented in the table below. Hours of storage capacity are calculated for video bit rates from 1 Mbps to 10 Mbps plus 192 kbps for audio. XYZ Stream hosting provides secure video locker storage web hosting with dual factor authentication that can be tied to the SMP encoder’s upload application. The XYZ video locker websites are ideal for companies who want to keep their corporate video presentations private for internal company wide viewing in an contained secure environment.